Windex® Touch-Up Cleaner offers a fast and convenient solution to clean and sanitize the most frequently used surfaces in the home without missing a beat. Creatively packaged in a bottle designed to stay out near the action where people need it most – the kitchen and the bathroom – Windex® Touch-Up Cleaner helps quickly clean those little messes so they don't become bigger chores. By having the new Windex® Touch-Up Cleaner right there when and where you need it, cleaning life's everyday messes has never been easier. "At SC Johnson we are always looking to deliver the latest in home cleaning innovation to provide effective products that offer convenience and value. 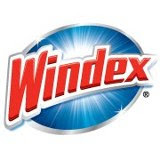 The new Windex® Touch-Up Cleaner offers a new approach to cleaning and an advanced product design that allows even the busiest families to quickly clean frequent messes as they happen," said Kelly M. Semrau, Senior Vice President – Global Corporate Affairs, Communication and Sustainability. The inventive new design makes it easy to clean and sanitize surfaces; simply push down on the pump to apply the formula onto a cleaning material such as a paper towel, bath tissue or a clean sponge. Then, wipe the surface clean. Windex® Touch-Up Cleaner cleans and kills 99.9 percent of common household bacteria(1) and works on nearly all hard, non-porous surfaces including: sinks, countertops, toilets, appliances (exterior), stovetops, sealed granite, sealed marble, glass, glazed porcelain, chrome, glazed ceramic tile, finished wood and more. One of the things I hate the most about cleaning is having to find the cleaner I need. Especially when it is a little spill or mess and would only take two seconds to clean. All of my kitchen cleaners are crammed under the sink. My kids leave them alone, but Hubby is not very good at putting things back in their place. Windex Touch Up Cleaner bottles are small and actually really cute. I keep one right on the kitchen sink. They are extremely easy to use as well. Grab a paper towel, push down on the top, and you are ready to clean. Windex has two different types, Kitchen Multi-Surface and Bathroom Multi-Surface. If you are looking for a fast and easy way to clean, give Windex Touch Up a shot! !